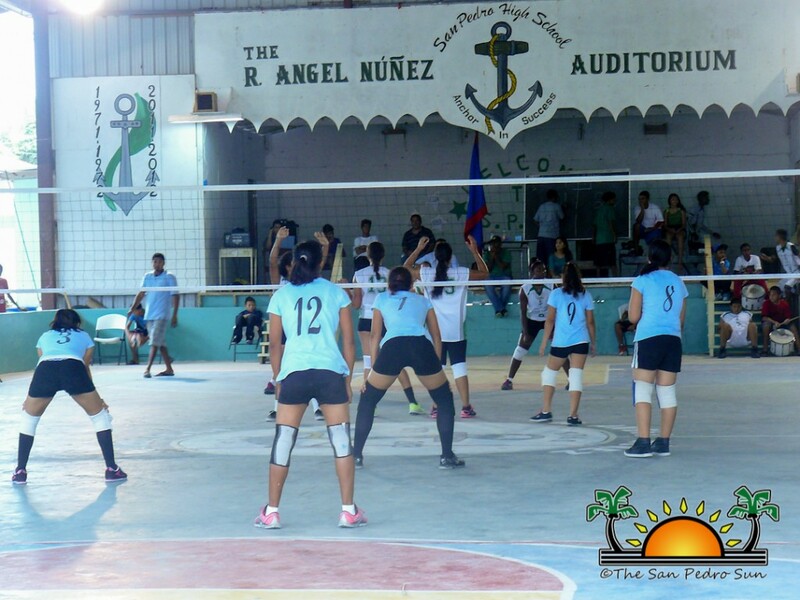 Saturday, October 26th was a day for volleyball as San Pedro High School (SPHS) hosted the annual Secondary Schools Northern Regional Volleyball Tournament. 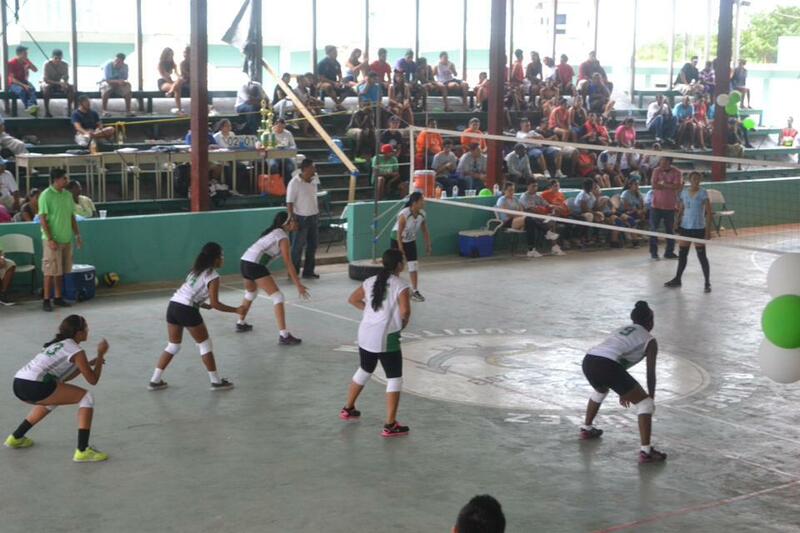 Six high school teams from the Corozal, Orange Walk and Belize District travelled to San Pedro Town to compete for the coveted first place championship, and a chance to represent the north in the National Secondary School Volleyball Competition. Competing in the male division was Escuela Technica de Mexico, Orange Walk Technical High School (OWTHS), Kings College and San Pedro High School (SPHS), and in the female division was Escuela Technica de Mexico, Muffles College, Belize Rural High School (BRHS) and San Pedro High School (SPHS). 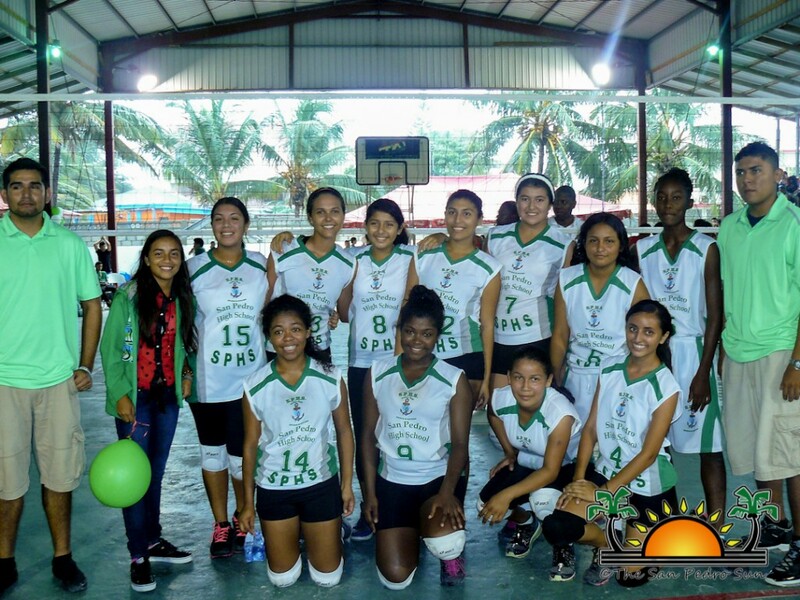 SPHS’ female team comprised of Magdaluz Guerrero, Brianna McLean, Vivian Noralez, Daniela Salazar and Kayla Zetina, while the male team was represented by Gabriel Nuñez Jr., Damian Pollard, Alex Roache, Afrie Black, Josue Marin, Jovi Ico and Guillermo Nuñez. 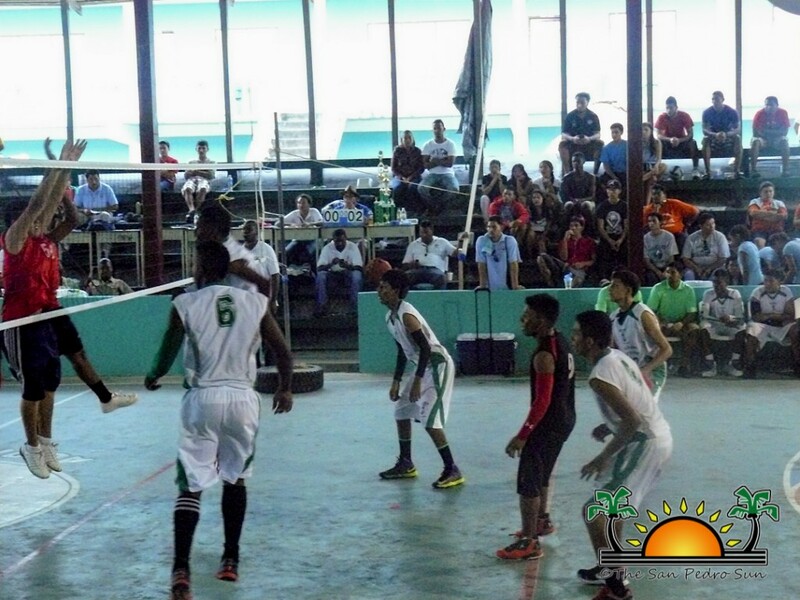 Both island teams have been preparing for months and as such were ready to defend their home turf, and defend they did! 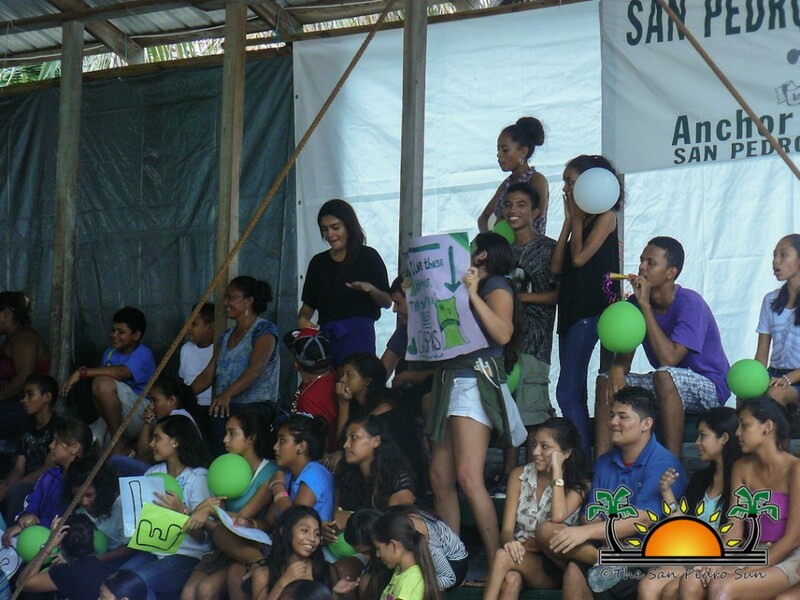 The female division started off the games, andSan Pedro Town’s very own SPHS girls went up against BRHS. SPHS quickly took change, defeating BRHS in a 3-0 set game, winning all three sets (25-16, 25-23 and 25-7). In the second game Escuela Technica Mexico took on Muffles College, but fell short and lost in a 3-0 set game (25-12, 25-20, and 25-19) in favor of Muffles. In the finals match it was SPHS who took on the three-time consecutive female regional champion, Muffles College. Defensive specialist, Chelsea Muñoz replaced Isolene Bailey and managed to make important points to win the game. 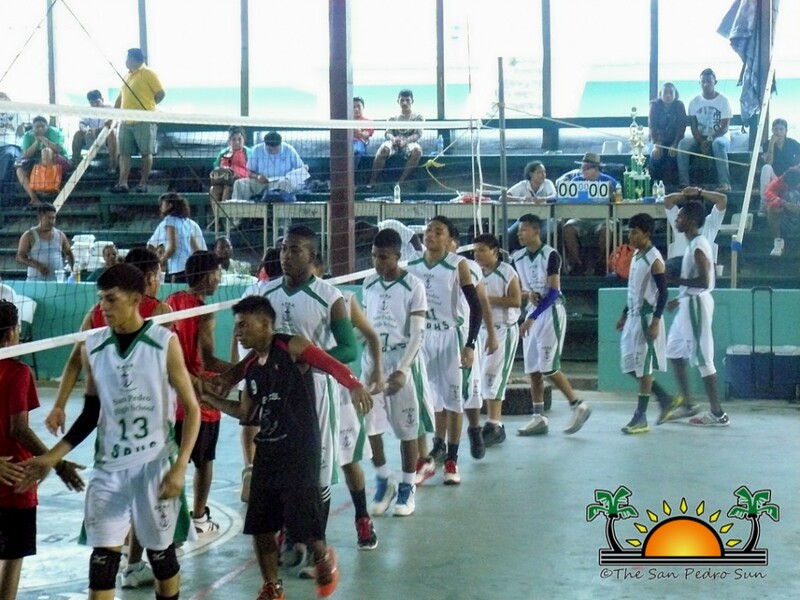 It was a very tight 3-0 game set, but in the end SPHS come out on top, earning them a spot at the 2013 National Volleyball Competition! In the male division, SPHS Boys took on Orange OWTHS. Some of SPHS’ star players had been replaced with second stringers due to illness, but that minor setback didn’t stop then, as they still managed a 3-0 set win over OWTHS (25-22, 25-23 and 25-16). 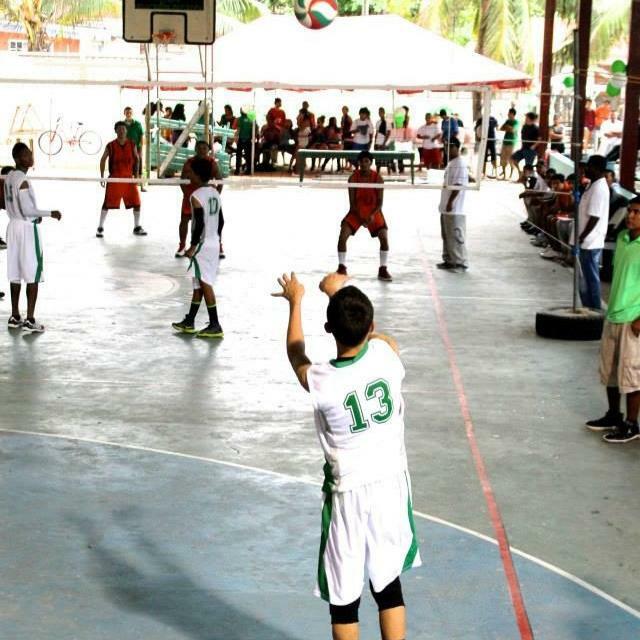 In the second game, Escuela Technica Mexico took on Kings College. Kings College managed to win the first two sets (25-21, 25-22) but was defeated in the final three sets (23-25, 20-25 and 8-15), sending Escuela Technica Mexico to the regional finals. In the regional championship match, SPHS boys defeated Escuela Technica Mexico easily in a 3-0 set game (25-9, 25-17 and 25-11). 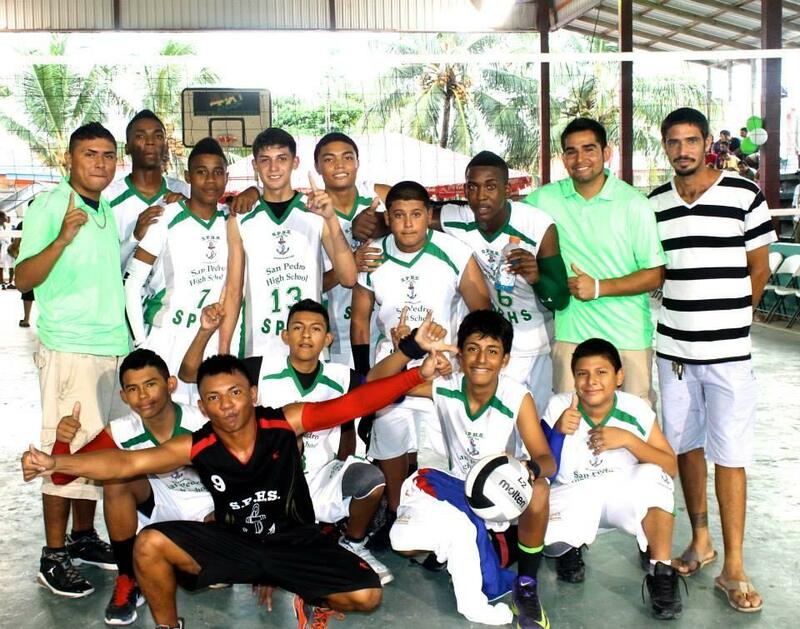 This is the third time the SPHS male volleyball team makes it to nationals. 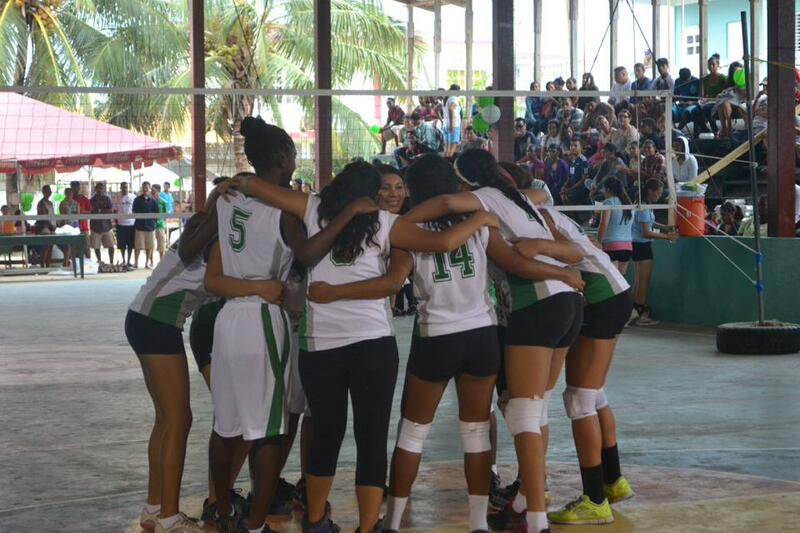 Both SPHS’ male and female volleyball team will represent the north zone at the 2013 National Volleyball Competition on November 8th and 9th. 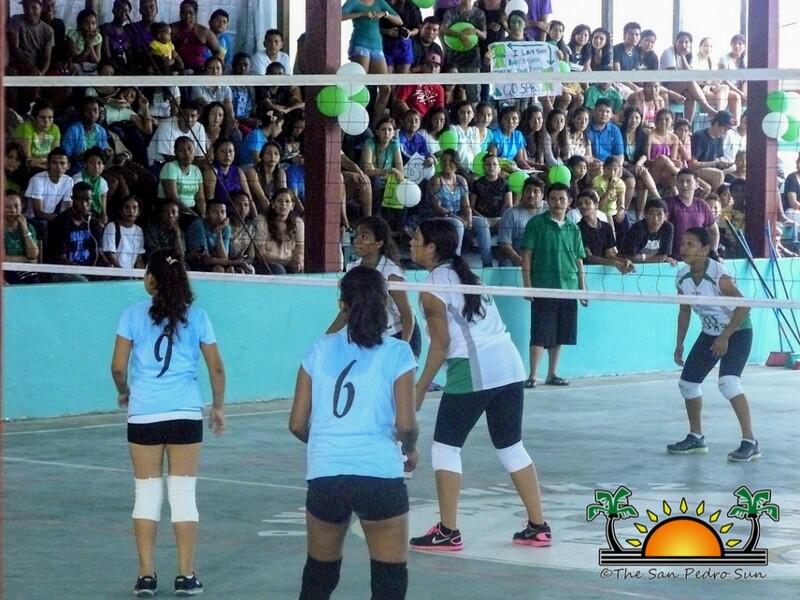 The National Secondary School Volleyball Competition will be hosted by St. Catherines’s Academy in Belize City. SPHS would like to thank Guillermo Rivero, Sajia's Construction, Councilor Gabriel Nunez Sr., Sports Coordinator Paul Kelly, SPHS staff and those that supported the team. Again, congratulations and best of luck to both teams in the upcoming national competitions.